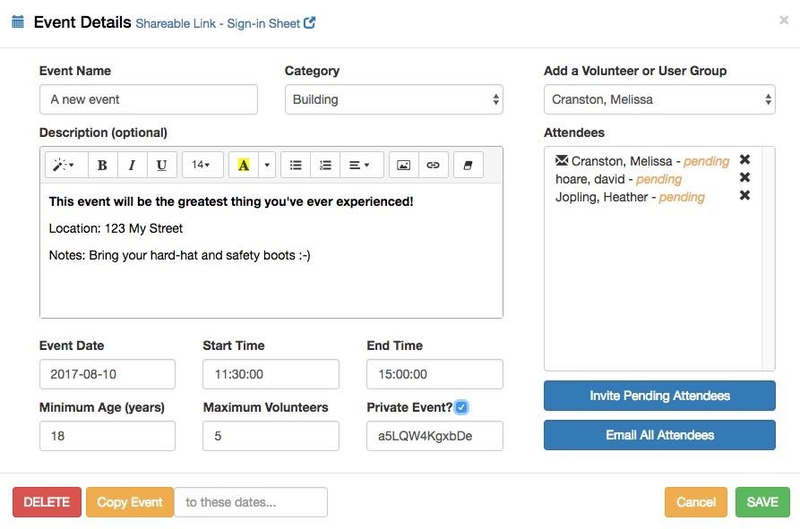 Cloud-based volunteer management solution that helps organizations of all sizes manage events, communication and more with notifications, reminders, calendar integration and email invites. We use the system to help coordinate student volunteers. Pros: Nice and easy for admin and our students. Mobile-friendly interface for registering for events, and makes it easy to communicate with users. Simple reporting capabilities, but the developers will add custom reports for you as needed, and it's easy to get an excel dump of all your data for more advanced analytics. Support is fantastic - - personal coaching and guidance to help you get started, and very quick fixes to any issues or suggestions that we made. Cons: I suppose compared to the competition it doesn't have quite as many features at present, but it's got everything we need, the support is great and the price is definitely right for our organization. Easy to use, very user friendly. Pros: The user interface is great. Speed with which new suggestions is implemented is wonderful as well. Cons: What I liked least about the software is that when development is being done the functionality slows down. Overall: Very cost effective for our non-profit.